The Glendale Raptors are back to back champions after beating San Francisco Golden Gate 44-20 at Infinity Park. It was the third year in a row the Raptors and SFGG have met in the final with the teams splitting the first two meetings. Even though SFGG came into the match as the hottest team in the league winning their last five matches the return of some key players for the Raptors were enough to push them to victory. Glendale have now had the best regular season record in each of the first three seasons to go along with two titles. The match would be tight throughout most of the first half. The big difference came in the second half where Glendale were able to score the majority of their tries and pull away for the win. The match capped off the season series between the two teams that saw them split the first two meetings, including a big win for the Raptors are Infinity Park last week. Both teams took time feeling each other out for the first few minutes before the Raptors were able to find the first breakthrough. Building off a scrum the Raptors sent it out wide where Dustin Croy beat a couple of defenders for the score. Just three minutes later SFGG would get on the board for the first time when Tai Enosa connected on a penalty. After the penalty the Raptors were able to control most of the territory and possession. The SFGG defense for the most part was able to keep the Raptors from scoring. Armandt Peens had a penalty attempt that missed and then Martin Knoetze and Dewon Reed came within inches from scoring only to be stopped. Instead it would be SFGG that would score next with Enosa hitting his second penalty. That penalty made the score 7-6 with just a few minutes before the end of the half. 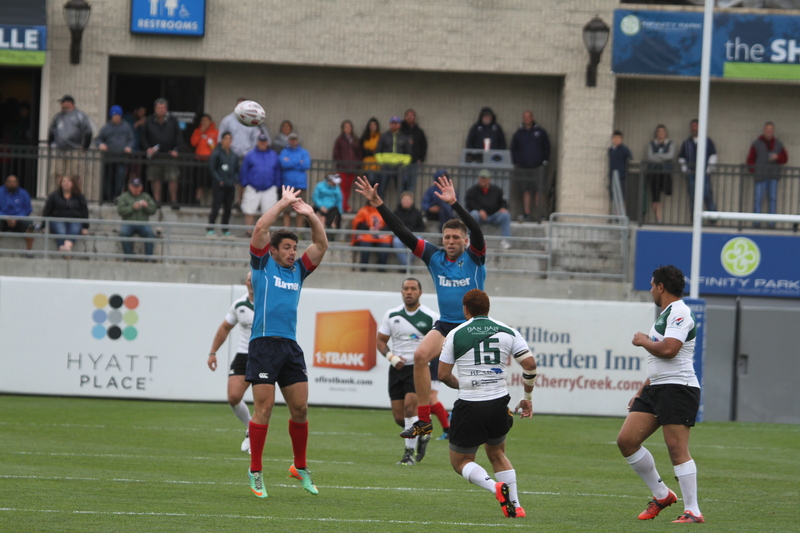 A key turning point in the match was that the Raptors were able to grab a try and a penalty before the break. A big run from Zac Pauga set up Croy for his second half brace and then Peens connected. At halftime Glendale led 17-6. Peens had another penalty attempt in the second half for the first opportunity but it went off the post and out. With SFGG starting to make their way back into the match it took an ex-SFGG play in the form of Mose Timoteo to orchestrate a key try to give the Raptors separation. Selling a dummy out of a ruck five meters from the tryline Timoteo passed the ball out to Peens for the score. Peens would convert his own try. Two minutes after the try Peens would add another penalty. Not giving up SFGG scored a great try through Brendan Daly to pull closer. SFGG did well to put the ball in a dangerous position and it was simple work from the forwards to push it over. Adrian Curry, who was filling in on the kicking duties for Enosa who went down early in the half with a knee injury, made the conversion. After the try the Raptors were able to gain the final separation. When SFGG prop Mosese Atiola was sent to the bin Peens hit the subsequent penalty. Just a few minutes later Martin Knoetze was there to capitalize on a SFGG mistake and go half the length of the pitch for the try. Substitute Iniki Fa’amausili would score one last try for Glendale while SFGG got a late consolation from Mile Pulu.